Help solve the puzzle with Piece by Piece. 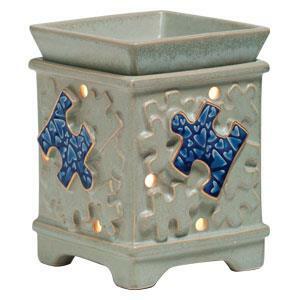 Scentsy will donate $8.50 from the sale of each Piece by Piece Warmer to Autism Speaks. Since launching the Piece by Piece Charitable Cause Warmer in 2011, Scentsy has raised more than $850,000 (USD) to organizations that benefit those who struggle with an autism spectrum disorder.